Saint Hedwig’s Cathedral is situated in Bebelplatz. It is a building that can be seen from far off because of its impressive copper dome, which you will be able to identify easily. Frederick the Great, King of Prussia, ordered its construction in the 18th century and it was given its name in honour of Saint Eduvigis, patron saint of the Silesia region, a land which had just been conquered. In fact, the cathedral was erected to demonstrate tolerance towards the faith of the new subjects of Silesia. 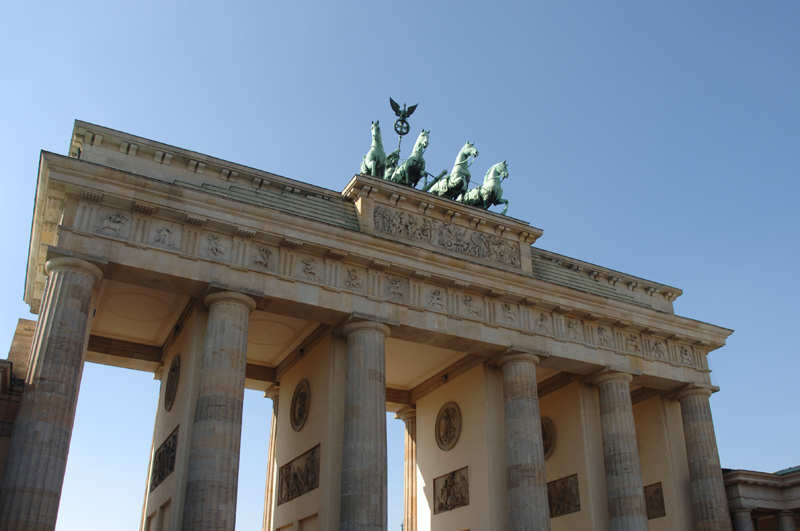 Its architect Knobelsdorff was inspired by the Pantheon in Rome when designing it. Curiously, until the second half of the 19th century it was the only Catholic Church of Confession in Berlin, and in 1929 became the headquarters of the Catholic Archbishopric. Now of course, Berlin’s Catholic community has more churches to worship in. As well as its impressive structure and historic origins, Saint Hedwig’s Cathedral is known as the scene for a number of disturbing events that will leave you cold. During the Nazi occupation it was used as a refuge for many Catholics attempting to escape from Hitler’s soldiers. A well-known incident also took place here in 1938 the day after the so-called ´Night of Broken Glass`, when members of the SS detained and mercilessly murdered many Jews throughout the country. Hours after this terrible episode, Bernhard Lichtenberg, Bishop of the cathedral at the time, held a mass in which he spoke in defence of the Jews. It was not long before he was arrested by the Nazis and eventually sent to Dachau Concentration Camp. Ultimately though Lichtenberg never arrived to his destination, and died while being transported there. In the middle of the 1970’s his remains were placed in the cathedral’s crypt. Even though bombing during the war left the cathedral in poor condition, later reconstruction restored it to how it appears today. However, its interior is darker and much more modern looking. As in the past, it remains the main Catholic church of the city.